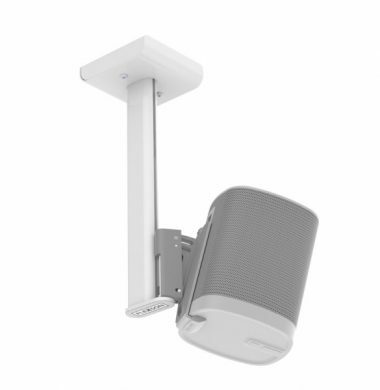 The Flexson Play1 Ceiling Mount – FLXP1CM1011 is the latest edition to the Flexson range of brackets for Sonos products.Tilt it, swivel it, hang it! Flexsons bespoke bracket for the SONOS PLAY:1 allows you to hang your speaker from the ceiling in the ideal place to sound – and look great. This new, improved design gives you yet more flexibility and functionality with clever cable routing to the ceiling. 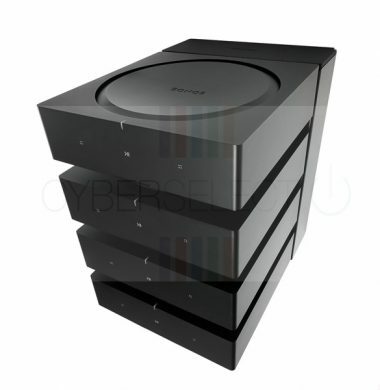 Meet the new Flexson SA-X4DK Dock that can accommodate four of the new SONOS AMP units.The Flexson Dock holds up to four Sonos Amps, keeping your install looking compact and tidy. The unit is easily fitted to a wall or cabinet the four Sonos Amps simply slide in. The Sonos Amps then click into place and are held securely in position via clever retaining clips. These clips will allow the unit to be mounted underneath a cabinet if required. There is also enough space inside the Dock to neatly run cables from all four units. 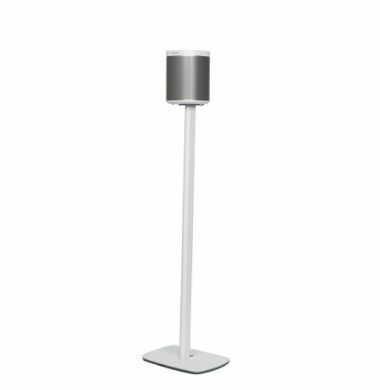 The robust steel construction is perfectly colour matched to the Sonos Amp. A matching Flexson bracket FLXCONNECTW is now availabe for SONOS wireless hi-fi systems, allowing you to wall-mount your music wherever you want. Every Flexson SONOS bracket has a host of clever features. 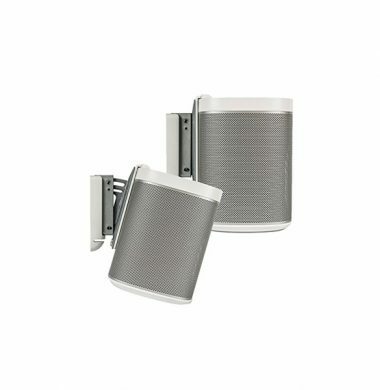 The SONOS Connect Wall Mounted Bracket delivers a neat compact design, tilt and swivel functionality and flexible-fit cable covers. 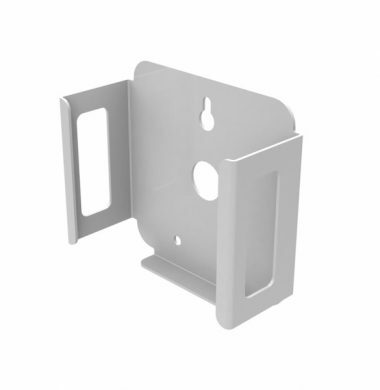 The Flexson SONOS brackets are made from superior-quality steel, are easy to fit and allow for neat cable routing. 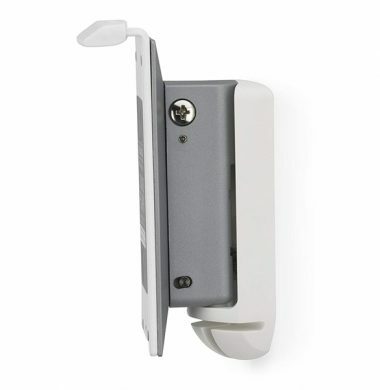 The mounting unit is held securely against the wall ready for the SONOS Connect to be easily sloted into its secure position. An optional-fit cable cover is availalble to hide cable routing into wall. The Gloss white powder-coat finish, creates a superior quality product. 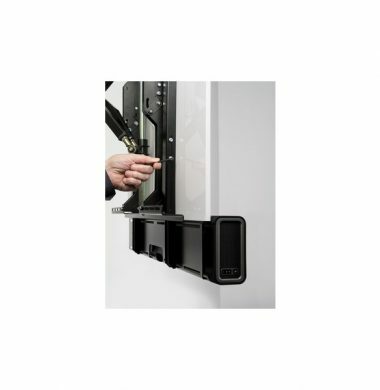 The Sonos Connect Wall Mount Barcket allows easily accessable controls for convenient adjustment. A matching Flexson bracket FLXCONAMPW is now availabe forSONOS wireless hi-fi systems, allowing you to wall-mount your music wherever you want. Every Flexson SONOS bracket has a host of clever features. 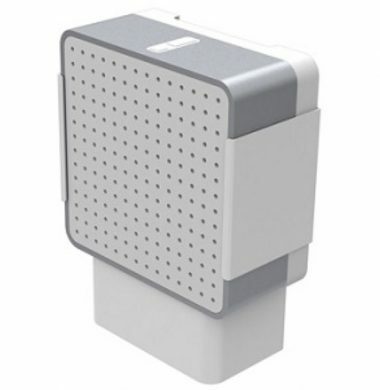 The SONOS Connect Amp Wall Bracket delivers a neat compact design, tilt and swivel functionality and flexible-fit cable covers. 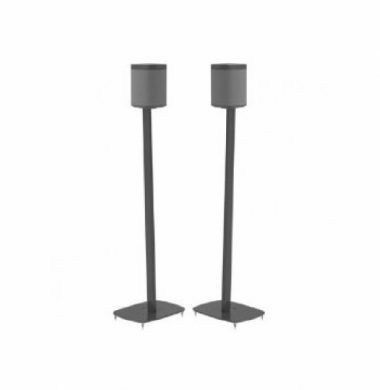 Playbar Wall Bracket is modern, stylish and unique model. Description Flexson’s SONOS PLAYBAR Screen Mount is designed to easily fit on to a full-motion (articulated) TV wall mount. The Flexson Screen Mount securely holds your PLAYBAR in place while allowing it to move with the screen. So, wherever you want to angle your TV, the SONOS sound stays directly underneath it, for optimum performance with music, movies and more. A matching Flexson bracket FLXBRIDGEW is now availabe for SONOS wireless hi-fi systems , allowing you to wall-mount your music wherever you want. This Flexson SONOS bracket has a host of clever features. 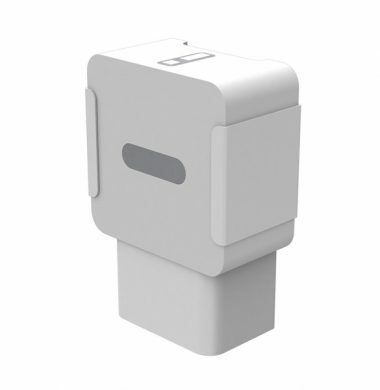 Its delivers neat compact design, tilt and swivel functionality and flexible-fit cable covers. The Flexson SONOS Bridge Wall Bracket is made from superior-quality steel, and is easy to fit and facilitates neat cable routing. Neat slot-in design – holds unit securely and flat to wall. Bridge can be oriented at 0°, 90°, 180°, 270° – flexible cable entry position . A matching Flexson bracket FLXSUBB is now availabe for SONOS wireless hi-fi systems, allowing you to wall-mount your subwoofer wherever you want, clearing floor space and streamlining your system. 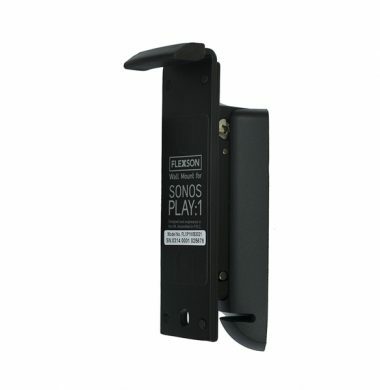 This Flexson SONOS bracket delivers a strong rigid, discreet design, in a Black finish, matching the Sonos Subwoofer. 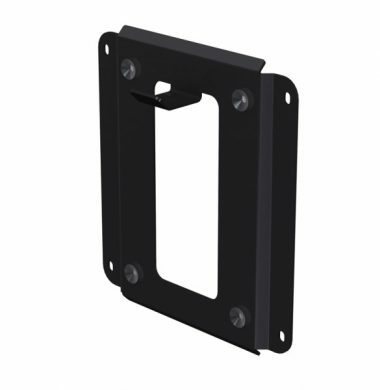 All Flexson SONOS brackets are made from superior-quality steel, are easy to fit and allow for neat cable routing. The mounting unit is held securely against the wall ready for the SONOS Subwoofer to be easily attached into its secure position.